World Sailing's Sustainability Commission have taken the first steps to creating a 'Sustainability Agenda 2030' following their first meeting in London, Great Britain from 29-30 August 2017. The leading group of experts, chaired by Mike Golding OBE, were appointed to the commission in June 2017 - click here to read more on the members. http://sailing.org/news/42098.php. 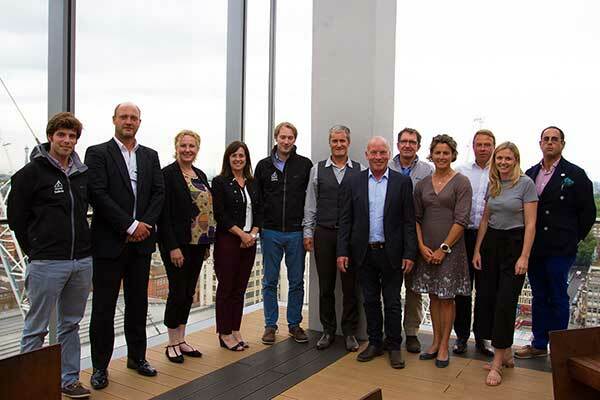 The meeting at World Sailing's Executive Office brought the group together for the first time to discuss key issues relating to sustainability within sailing. Discussions and presentations were received on the circular economy, ocean plastics, boat and equipment construction, event logistics, embodied carbon, vessel strikes of marine fauna, accessibility, gender equality, and supply chains. The Commission, made up of members with scientific, sporting and sailing backgrounds, discussed where World Sailing, the world governing body of the sport, can make change and influence the industry. Rules changes and phased implementation were highlighted as two feasible areas of influence. The result of the discussion was to create a 'Sustainability Agenda 2030' whereby a vision for key objectives for the sport to be achieved by 2030 were discussed prioritised and documented. These vary between event standards, water quality standards, technical standards, research, training, equality targets, reporting and partnerships. World Sailing will present its 'Sustainability Agenda 2030' to the World Sailing Council for adoption at the World Sailing Annual Conference in Puerto Vallarta, Mexico in November 2017. Furthermore, working with key stakeholders and members, World Sailing plans to create a central resource base which will showcase sustainability related tools, documents and information that is accessible to a global audience. After the meeting, Golding commented, "It is remarkable to think about how much is already going on [with sustainability within sailing]. "We're looking across the board from the social side of the sport, the environmental and then of course the technology. In every area there are opportunities to improve the sports sustainability. "When you're thinking as far ahead as 2030, you can really be quite ambitious with your objectives. I think we've tried to be realistic with what we can achieve, yet ambitious at the same time." Emily Penn, an ocean advocate and skipper who has spent the past decade leading sailing expeditions to study, expose and tackle environmental challenges also commented, "When having these discussions about sustainability, it opens so many avenues and we're lucky there's a lot of opportunity. There's a lot of things World Sailing can do. "I think the main opportunities are around events and boat design, as World Sailing has a fair amount of control and influence. So, working with events to ensure better practices on how we think of our marine environment and one another as human beings. And then also looking at how World Sailing can inspire boat design to move in a new direction that's not creating waste. "I would like to see World Sailing as an organisation that has influence around the world across the board on sustainability, particularly on protecting the marine environment and waters of the world. We want to see measurable progress in that and we want to see our sailing areas, our waters and our habitats for marine species to improve." World Sailing released its sustainability strategy at the 2016 Annual Conference in Barcelona, Spain. The strategy will ensure that World Sailing, its members and partners have a framework that delivers fact-based tangible benefit across the three pillars of sustainability - environmental, social and economic. Click here to find out more and read World Sailing's Sustainability Strategy. http://www.sailing.org/news/41200.php.